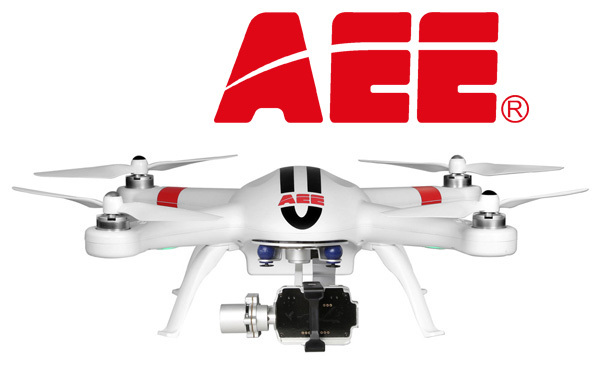 AEE is one of the leading world-wide manufacturers of high-tech professional solutions for video recording and non-pilot multi-rotor drones. The company’s products are distinguished for perfect workmanship, high quality of all used materials and competitive price. Digital World Ltd. provides on Bulgarian market three of the most popular models drones of AEE. For those of you that are looking out for budget solution -all in one for reasonable price – you can choose AEE AP10Pro drone with built-in HD camera and FPV function. if you have already action camera and you are looking out for a stable drone, which can offer you to make astonishing air frames – the right choice is AEE AP9, which has special stabilizing holder for action cameras Gimbal. In our product range we have also premium model AEE AP11 together with action camera AEE S61. More information about these products and technical specifications you can read in their relative product pages on our online catalogue.